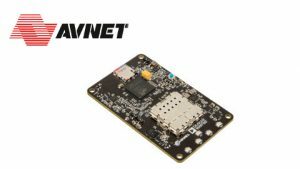 Avnet, Inc., a leading global technology distributor, today released the PicoZed Software-Defined Radio SDR 1×1, a rugged, low-power, system-on-module (SOM). Priced at $549, the PicoZed SDR 1×1 is cost-optimized for single-channel transmit and receive signal paths in the 70 MHz to 6.0 GHz range and is available to customers in the Americas, EMEA, Asia and Japan. The full-duplex PicoZed SDR 1×1 combines the AD9364 integrated RF Agile Transceiver from Analog Devices, Inc. with a Xilinx Zynq-7020 All Programmable SoC, and features the same handheld form-factor as Avnet’s dual-channel PicoZed SDR 2×2. By integrating the critical RF signal path and high-speed programmable logic in a fully-verified SOM, the PicoZed SDR 1×1 enables designers to dramatically reduce cycle times for the development of the RF-to-baseband signal processing core in wireless communications systems for markets including defense/aerospace, security/surveillance, portable systems and 3G/4G communications. The PicoZed SDR 1×1 SOM is supported by robust simulation and code generation tools that integrate seamlessly with Xilinx Vivado Design Suite. For fast prototyping of software-defined radio products, PicoZed SDR 1×1 is compatible with the PicoZed SDR FMC Carrier Card (AES-PZSDRCC-FMC-G) providing standard high bandwidth interfaces like USB, Gigabit Ethernet, and RF power modules. Fast data streaming to MATLAB and Simulink from MathWorks is supported to speed algorithm development and aid in the verification of system designs. The PicoZed SDR 1×1 system-on-module (SOM) is available for order today from Avnet. Further information on the PicoZed SDR SOMs and Carrier Cards can be found at http://picozed.org/.